Rav Yaakov Perlow is the current Novominsker Rebbe and serves as rosh of the American Agudath Israel of America. He is also the head of the Moetzes Gedolei HaTorah of Agudath Israel of America. 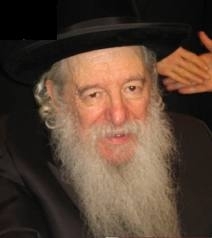 Rav Perlow is a talmid of Rabbi Yitzchok Hutner and also obtained a degree at Brooklyn College, New York, while attending the Yeshiva Rabbi Chaim Berlin and then the Kollel Gur Aryeh. He subsequently taught Talmud at Hebrew Theological College in Skokie, Illinois. From there, he was appointed Rosh Yeshiva at the Khal Adath Jeshurun community's Breuer's yeshiva in Washington Heights, Manhattan and established a shul continuing the Novominsk Hasidic movement. He eventually resigned his position at the Breuer's yeshiva to establish and devote himself to his own yeshiva in Boro Park, Brooklyn.